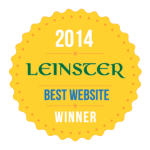 The Killoe GAA website received the Leinster GAA Club Website of the Year award for 2014 at the annual Leinster GAA awards night in Portlaoise on Friday 5th December. 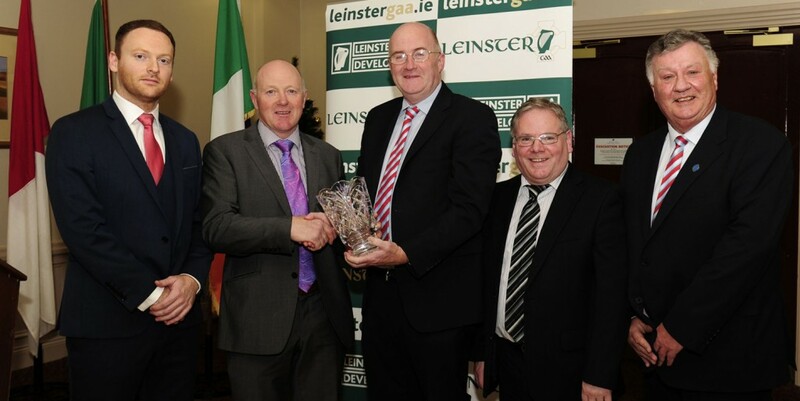 Leinster Council Chairman John Horan and Leinster Council PRO John Greene presented the award to Jimmy Halpin, John Dowd and Colm Devaney. The Leinster Council chairman said that there were a number of excellent sites up for contention and he highly complimented Killoe GAA on our achievement in coming out on top. He re-affirmed the important role that websites and social media plays in the GAA in terms of keeping patrons up to date. The Killoe GAA website was launched in June 2012 after the club enlisted the services of Paul Devaney to develop the site. The overall design was updated in September 2014 to a newer architecture. The web administration team of Tom Quinn, Colm Devaney, Robbie Browne and Nicole Rowley manage and update the site content to ensure it remains current. The design, development and ongoing maintenance of the website is entirely voluntary. As in many other parishes, villages, towns and communities across the country, Killoe people have a very proud sense of place and community. This is something that people carry with them, no matter where they happen to be based across the world. And as with many other places, the GAA sits at the heart of our community. The website aims to capture and add to that sense of pride and place and to weave into the overall design a unique window into our community. The site also includes archive files from the clubs participation in Senior Championship Finals dating back to 1911, which were painstakingly researched by Colm and John Devaney throughout 2014. 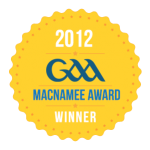 Killoe GAA previously received the McNamee Award in 2013 from GAA President Liam O’Neill for ‘Best GAA Website’. 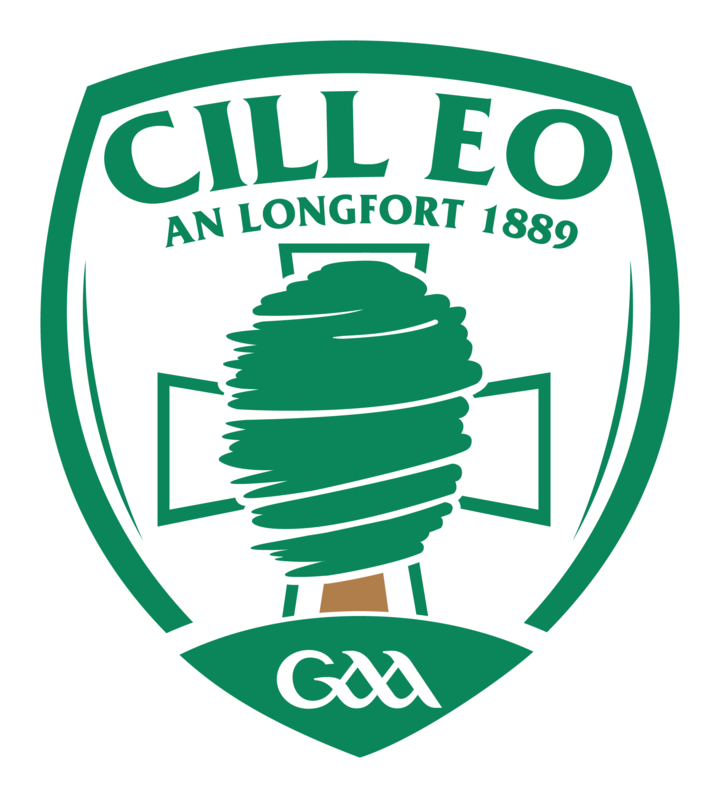 Killoe is the fist club in Longford to win either the Leinster GAA Award or the McNamee Award and is one of the few clubs in the country ever to have won both national and provincial web awards. Latest news, fixtures and results including links to our facebook & twitter accounts. 125-year history covering our Senior, Minor & Ladies Clubs and Scór successes. Roll of Honour and records of award winners and club officers from down the years. Unique record of Killoe Senior Championship results from 1890 to 2014. Archive featuring match reports and records from 125 years of Killoe GAA. Profile of our community, townlands and interesting facts on people and events. Galleries with a wide range of team photographs dating from 1911 to 2014. Audio player including songs and poems connected to the club. Videos including specially produced compilation videos to celebrate club successes. Online Club Lotto links and jackpot updates as well as online Club Membership links. Dedicated section for GAA Player Welfare and Child Welfare resources.